Given that Salamanca is the home of the oldest university in Spain, it should come as no surprise that the sport of football was introduced to the city by students, and Irish students at that. Within a couple of years, the locals had formed Salamanca Football Team and competed in the early stages of the Copa del Rey. Regrettably, the team did not stand the test of time and whilst the sport remained popular, the city lacked a properly structured outfit until the 1920's. On 9 February 1923 Unión Deportiva Española was formed and on land purchased from the Cavalry sets about swimming, athletics, a bit of horse riding and oh yes... football. The club joined the Castellano-Leonesa Federation and competed in the first category of the regional championship. 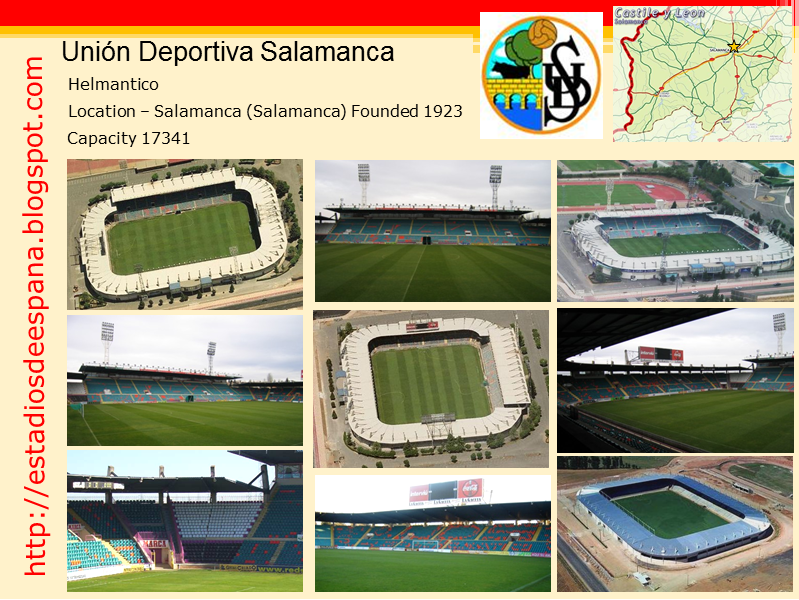 Following the election of the Republican government in April 1931, the club changed its name to Club Deportivo Salamanca, changing it again just a few months later to Union Deportiva Salamanca. It was under this new name that the club achieved its first significant success, winning the regional championship of 1935-36. Further success in the play-offs against Cantabrian side Santoña FC, earned UD Salamanca a place in La Segunda. However, the outbreak of the Civil War meant the club would have to wait for its debut in the national league. The restructuring of the league to allow as many representatives from regional capitals would probably have seen UD Salamanca participate in the 1939-40 La Segunda championship any way, but having earned a place on merit, the club resumed its activities with a fifth place finish in Group I of the regionalised second tier. Seventh place followed a year later, before the club finished second and reached the play-offs for a place in La Primera. Regrettably, UD Salamanca finished bottom of the play-off group and by the end of the 1942-43 season had been relegated to the Tercera. Over the next 20 seasons, UD Salamanca's time was equally divided between the Tercera and La Segunda, the highlight being a second place finish in southern section of La Segunda in 1950-51. Once again, the play-offs proved to be the club's downfall, finishing bottom of the pack. Home since formation had been the Campo de El Calvario, which started out as a simple roped-off dirt pitch, but featured open terraces and bleachers until a full length main stand was added in the mid 1930's. Terracing replaced the bleachers and the ground had a compact capacity of around 10,000 by 1943. Economic problems have dogged UD Salamanca throughout its history and thoughts turned to selling-up and moving from El Calvario's central location in 1965. The sale of part of the land and transfer activity raised over 5 million pesetas, which saw the club purchase land a couple of miles to the north of the city. In May of 1969, the club appointed architects Antonio García and Fernando Población to design the new stadium, and work commenced on the site in November. By this time, UD Salamanca had won promotion back to La Segunda, but fought a fruitless struggle to remain at this level. The final game at El Calvario took place on 29 March 1970, and saw Ontinyent CF spoil the party with a 0-2 victory. On 8 April 1970, the new Estadio El Helmántico was opened by National Sports Minister and future Olympic President Juan Antonio Samaranch. UD Salamanca drew 0-0 with Sporting Lisbon in a friendly, and 4 days later, the first official match at the ground also ended goalless, when the hosts drew with Real Betis. Initially, El Helmántico had a capacity of 30,000, made up of three terraced sides and seats on the west side. They were all housed on a single tier under a cantilevered steel and aluminium roof. Over the next decade, this roof would come under severe attack from the strong winds that blow across the Castellano-Leonesa plain, and on three separate occasions, buckle. The first occasion was on 14 January 1975, when a 110km gust tore three 3,000kg beams from their moorings. 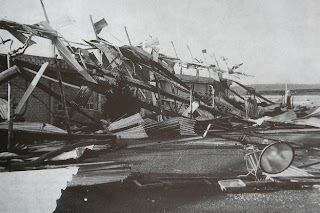 Then on 11 December 1978, two days before the stadium's first full international between Spain and Cyprus, a gust of nearly 100km uprooted a cornerstone and peeled the roof off the northern Fondo. Damage was estimated at 25 million pesetas, but the match did take place, albeit in front of a reduced capacity. The problems were only rectified after another incident damaged the main east stand in February 1979. During the summer of 1979 all moorings were strengthened and an additional nine rows of seats were added under a new roof on the east side. 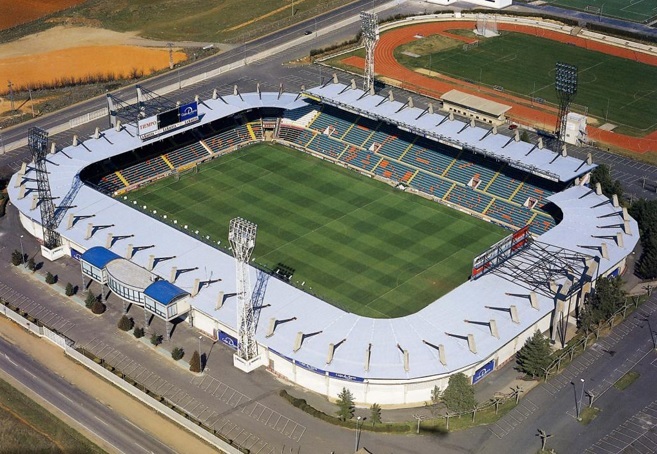 Although the move to El Helmántico coincided with relegation to the Tercera, UD Salamanca soon regrouped and with funds from the sale of the remainder of the El Calvario site, built a side that won the Tercera title in April 1973. With that win came automatic promotion to the second division and more was to follow. The 73-74 season saw the club compete at the top end of the table and even head the league with nine matches to play. Whilst their was a loss of form in the closing stages, it held on, claiming promotion to the top flight with a 1-0 win over Real Betis in the penultimate fixture of the season.The next ten years were the club's golden period, with comfortable mid-table finishes in seven of the next ten seasons. The stadium's current floodlight system was installed during the summer of 1982, but instead of being placed in the corners, the over-sized pylons sit level with the penalty area. UD Salamanca dropped back into the second division in 1984. A year later, the dream was well and truly over, when the club dropped into Segunda B. The next decade was evenly split between dominating Segunda B and struggling in La Segunda. The club broke the cycle in 1995 when it won promotion from the second division and then spent three of the next four seasons in the top flight. Since UD Salamanca's last relegation from La Primera, it mainly occupied a spot in the middle of La Segunda. The exceptions were a brief visit to Segunda B in 2005-06 and relegation back to the same level in May 2011. Despite a troublesome first decade, El Helmántico has weathered rather well and does not have the look of a stadium that is over forty years old. At first glance, it resembles like a slightly older relative of Racing Santander's El Sardinero, albeit on one tier rather than two. It is however smaller, not helped by the installation of seats following UD Salamanca's last visit to La Primera. It now has an all-seater capacity of 17,341 and has hosted La Selección on a further three occasions. Following the drop to regionalised football, UD Salamanca's financial problems worsened and amidst allegations of mismanagement, question marks were raised over the future of the club. 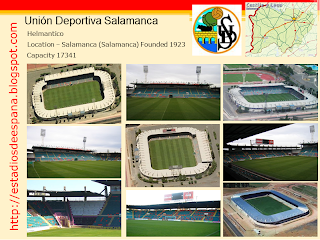 Finally, after 90 years of representing the city, UD Salamanca folded on 18 June 2013, after failing to reach agreement with the bank over a debt of €23m. The clubs assets, including the Estadio Helmántico, are to be auctioned off, raising doubts over the return of senior football to the city in the short to medium term.